Complete set of fenders both front and rear. Fully shaped American Walnut! 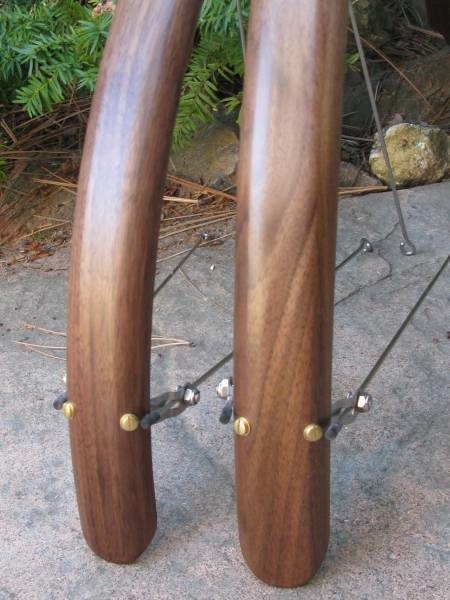 Nice rich brown in color with good grain figure these will certainly dress up jut about any bike.